SGIA Expo Show Specials Extended! 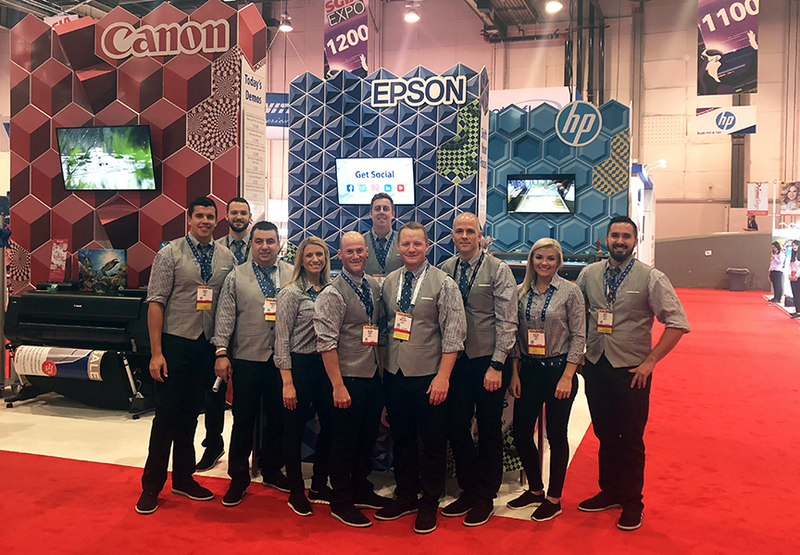 Last week was the final SGIA Expo before it morphs into Print United next year, and we have to say: You went out with a bang! We wanted to keep the party going a little longer by extending our show specials on the all new HP Adhesive Vinyl line. 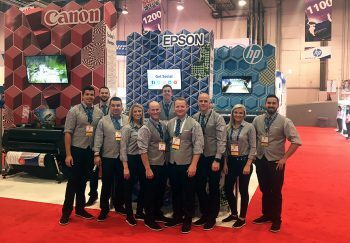 If you were at the show, you saw the new HP products in action on the large divider walls in the LexJet booth. The dizzying optical illusion graphics were definitely a conversation starter! 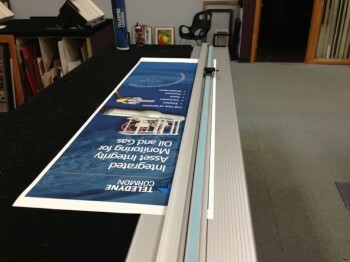 You can learn more about the HP Adhesive Vinyl and Laminate line at LexJet.com. While you’re there, check out the HP Vinyl Decision Guide, which will help you discover the recommended vinyl and laminate products for your next project. The vinyls work great on a variety of applications, such as trailers and box trucks, outdoor signage, transit vehicles, labels/decals, POP and trade shows or indoor windows. 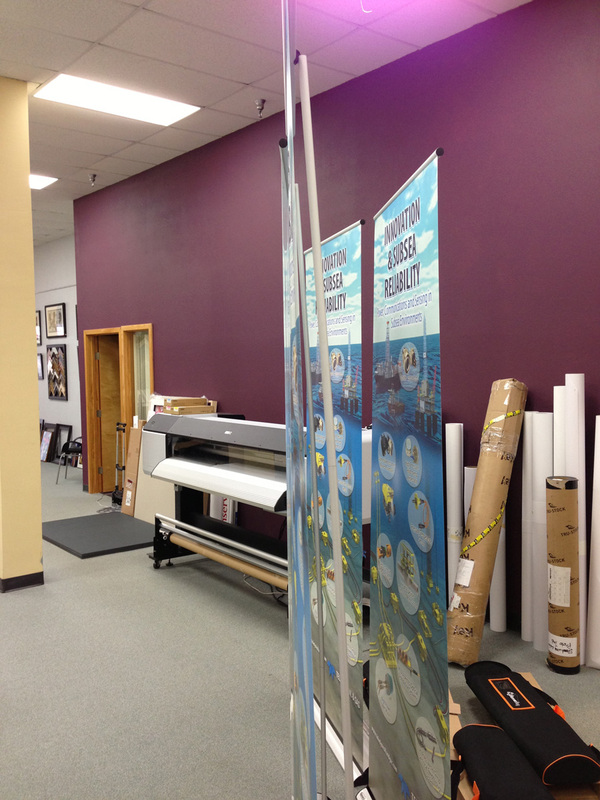 If you have any questions on how HP Adhesive Vinyl or Laminates can help grow your business, give us a call at 800-453-9538. Go to www.lexjet.com/catalog for the latest LexJet Product Reference Guide, and click the Facebook Like or Share icons by Friday, May 2 for a chance to win a $500 LexJet Gift Card*. 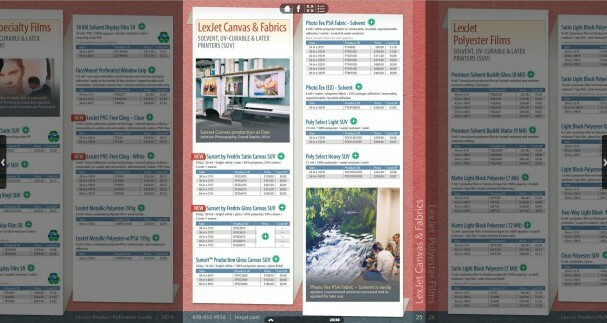 LexJet’s new digital catalog is an excellent clickable source for everything you need for printing, with details on hundreds of products, including fine art materials, photo papers, fabrics, canvas, films, vinyl, banner materials, adhesive-backed materials, wallcoverings, specialty media, laminates, adhesives, printers, inks and more. If you have questions or need help with anything, contact a LexJet customer specialist at 800-453-9538. *$500 Gift Card for products purchased through LexJet. 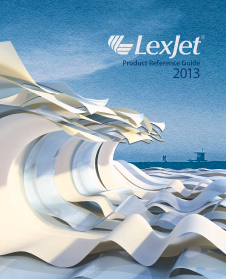 LexJet’s new 2013 Product Reference Guide is in the mail and should be in the hands of LexJet customers. If you haven’t received the latest Product Reference Guide, click here to sign up for a free copy. The Product Reference Guide is an excellent desktop source for everything you need for printing, with details on hundreds of products, including fine art materials, photo papers, fabrics, canvas, films, vinyl, banner materials, adhesive-backed materials, wallcoverings, specialty media, laminates, adhesives, printers, inks and more. 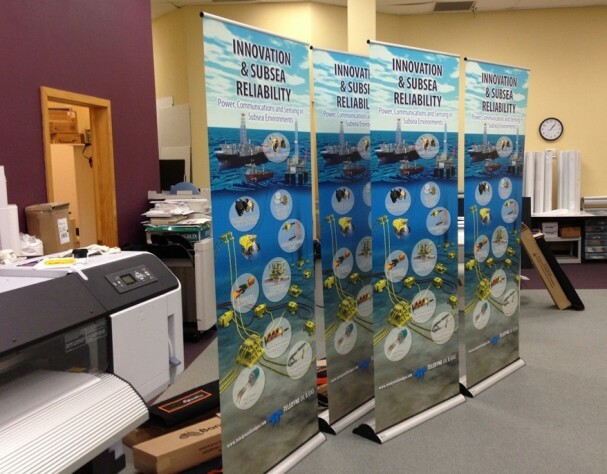 This construction barricade was printed on LexJet Simple Adhesive Vinyl – Semi-Matte for a medical center. Alan Russell, manager of FastSigns – Airway in El Paso, produces a lot of day-to-day flat sign work, but the truth is that much of it you really wouldn’t characterize as “day-to-day.” In the examples pictured here, Russell and his crack staff had to find a custom solution that would stay within the customer’s budget. 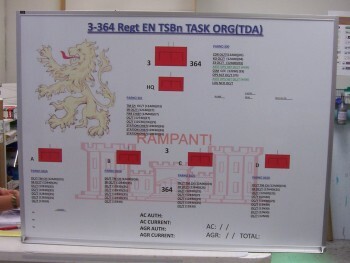 An example of one of the dry erase boards printed on LexJet Simple Adhesive Vinyl and laminated with LexJet Dry Erasable Gloss Laminate that FastSigns – Airway in El Paso produces for various groups at Fort Bliss. FastSigns – Airway in El Paso serves the U.S. military base, Fort Bliss, and in doing so they’re asked to create fairly unusual pieces to support the base’s mission. Dry erase boards are a common request, which the shop fulfills using LexJet Simple Adhesive Vinyl for the background graphic, laminated with LexJet Dry Erasable Gloss Laminate (2 Mil). The change-of-command board printed with a faux wood finish on LexJet Simple Adhesive Vinyl. 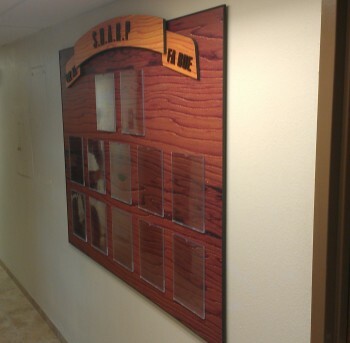 Similarly, the FastSigns staff printed a change-of-command board with a wood grain texture to mimic the look of the old homemade boards made out of plywood. The old ones were, well, old, plus very heavy to move from place to place. 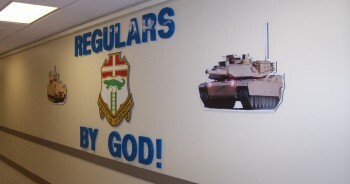 A combination of cut-out graphics and photos printed on LexJet Simple Adhesive Vinyl with dimensional Gemini lettering. FastSigns – Airway in El Paso also has a number of A-frame signs printed with Simple Adhesive Vinyl used at checkpoints in Iraq and Afghanistan. “I found a decent photograph of wood grain, printed the wood grain pattern for the background, and made a banner across the top out of Ultra Board with dimensional lettering and they were ecstatic. The fact that the vinyl provides some texture when printed on the flatbed is incredible. They were blown away because one guy can carry around this 4×8 piece,” says Russell. Though FastSigns – Airway in El Paso does not have CNC equipment, they do a lot of die-cut signage with woodworking equipment. Russell says he likes LexJet Simple Adhesive Vinyl for these projects because it doesn’t tear when they cut it or peel it up. Moreover, Russell says the vinyl works well with the flatbed printer. Though they could obviously print directly to the board (and they do), on flat sign projects that use larger pieces of board, Russell prefers to print to the vinyl. If there’s a misprint, it’s a lot easier and less expensive to re-print a piece of vinyl than it is a board. For construction barricades and other similar projects, LexJet Simple Adhesive Vinyl is again the print material of choice. The project pictured here for a medical center was up for one day and consisted of about 14 panels. Though it was a one-day event, the medical center used the panels for other events. “They used those panels for several years, they took a beating and they still look great,” says Russell. Lou Fiore, owner of Speedway Custom Photo Lab in Daytona Beach, Fla., has been kind enough to share some great ideas, which we’ve posted here at the LexJet Blog (LED Backlit Conference Room Graphics and Creating a Multi-Panel Display). To round out the trio of ideas, Fiore shares his process for making perfectly flat banners for banner stand displays, what he calls the “Holy Grail” of banner stands. Fiore’s technique is to print the Water-Resistant Polypropylene on his Epson 9800, then the GBC Emboss 50 is applied using a sled at the lower end of its low-melt temperature range, around 170 degrees F. The laminate is allowed to cure for about an hour and the banners are then trimmed on a Keencut Sabre 2 General Purpose Cutter (120 in.). Thanks for the tips, Lou! That's more like it... Nancy Tipton of Advanced Signs & Graphics says they can knock out a vehicle wrap in four to five hours with LexJet Simple Flo Wrap Vinyl. 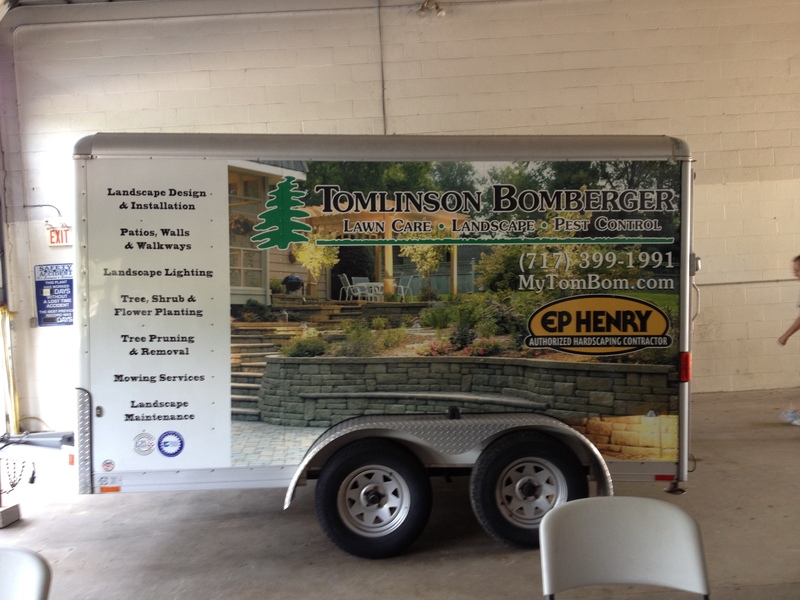 Nancy Tipton, owner of Advanced Signs & Graphics in Lancaster, Pa., recently had a vehicle graphics project where the client specified a certain type of vinyl. 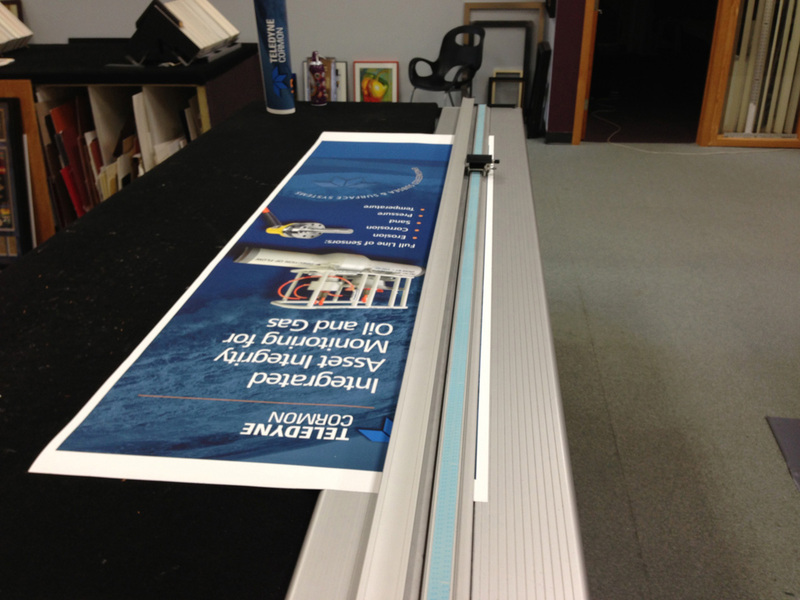 The problem was that the vinyl wasn’t LexJet Simple Flo Wrap Vinyl (it was a lot thinner, for one, says Tipton). Based on her experience, Tipton recommends factoring in the additional time it may take to get used to working with a vinyl that’s been specified that you haven’t worked with before. “We have those installs down to four or five hours with Simple Flo Wrap Vinyl, and with the other vinyl it took about three days. Plus, Simple Flo is priced right,” says Tipton. Tipton estimates that Simple Flo Wrap Vinyl is about 40 percent less expensive than the vinyl that was specified. Advanced Signs & Graphics first started using Simple Flo Wrap Vinyl as a sign vinyl and then started doing vehicle graphics with it as demand for those types of projects rose. 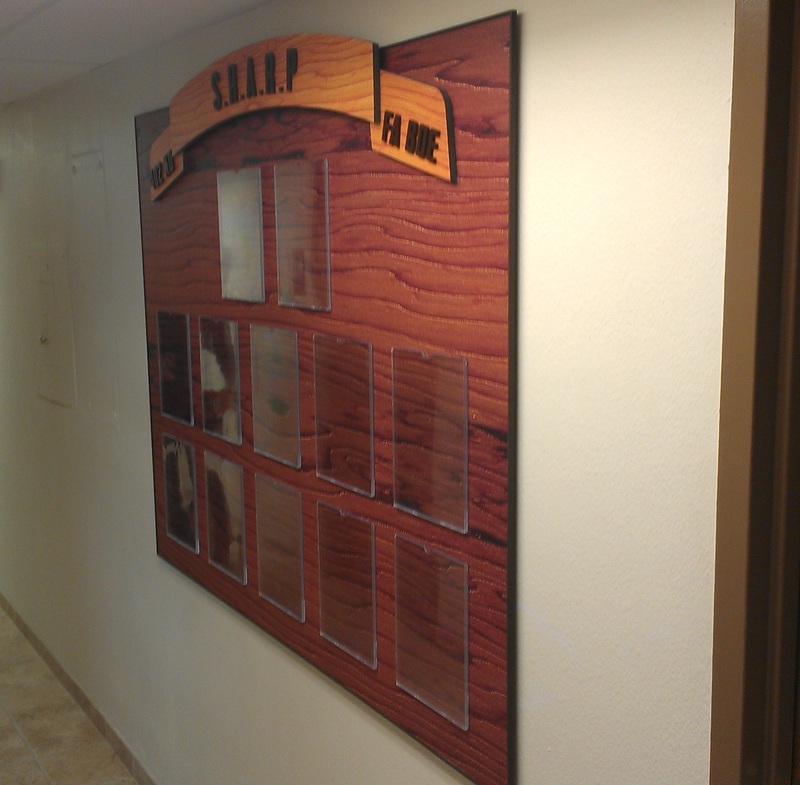 An example of a sign-type project that was a perfect fit for Simple Flo Wrap Vinyl is shown here. This project needed to be wrapped over the board, over the top and sides and around the back, “kind of like you would wrap canvas over stretcher bars,” says Tipton. 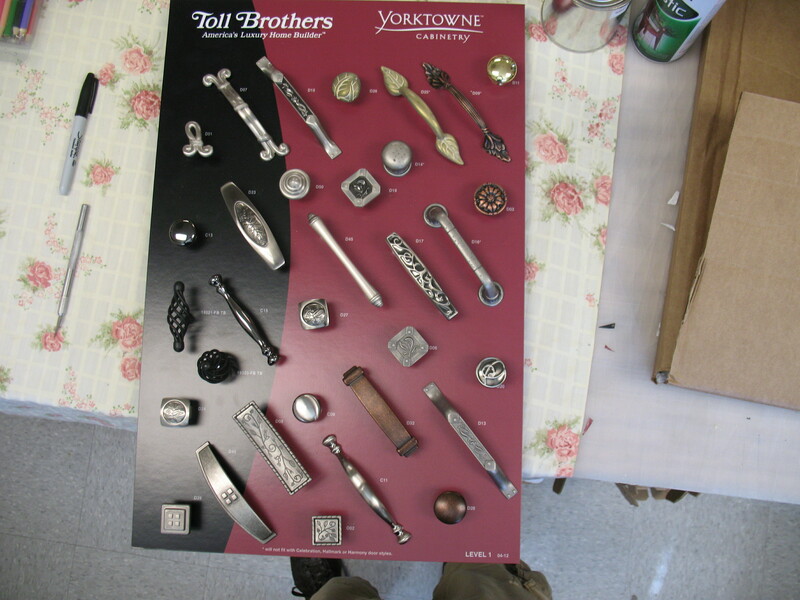 The board shown here was one of several sample boards used by sales reps to show different types of cabinetry knobs.